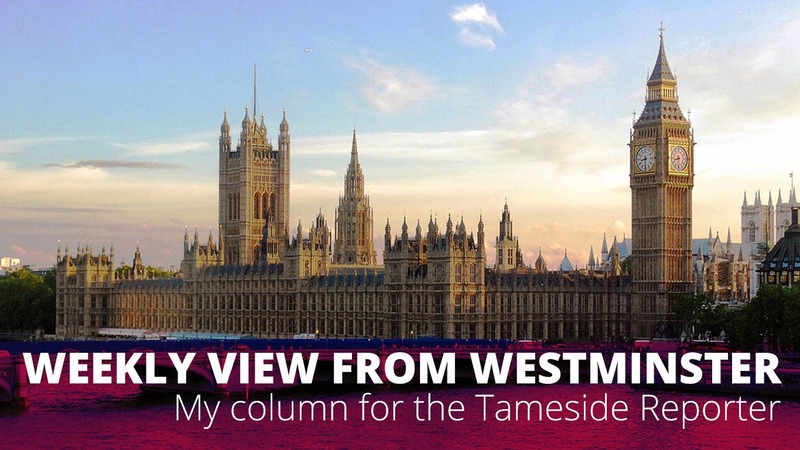 As a local MP for Tameside over thirteen years and more recently as Shadow Secretary of State for Communities and Local Government I know the size of the challenge faced by local authorities across our communities since 2010. As each year passes pressure from Whitehall continues to bear down on a sector which has already been plundered for years. Locally we have not been immune from Tory cuts, unfair spending reductions mean that, by 2020, Tameside council will have £415 less to spend per household compared to 2011. Seven years of Tory austerity has on average, cost councils 40% of their funding. These cuts are much deeper than the conventional savings that any sector can reasonably meet, whether public or private. These are cuts to our children’s social services, our local economy and our communities’s ability to build the homes it needs for the future. Nevertheless local authorities have responded to these challenges with professionalism. Across Tameside, Labour is rebuilding our streets and side roads through investment to fill the potholes that blight the area whilst also naming new streets constructed in Tameside after local service men and women who lost their lives in service. Yet, we can’t empower our communities if we impoverish them. Even if councils stopped filling in potholes, maintaining parks, closed all children’s centres, libraries, and leisure centres, as well as turning off every street light, they still would not have saved enough money to plug the funding gap. Rather than offering solutions though, the government instead asks locals to blame councillors in Town Halls, not Ministers in Whitehall. Austerity has created a hole in our public services that demands more from us than simply throwing money at the problem; it demands that we consider new ideas and new approaches. That is why at Labour’s Annual Conference I announced that the next Labour Government will change the rules to increase the accountability, transparency and public control of our own public services, including those operated by private companies. The radical proposals I put forward at conference confirm that Labour will deliver a radical alternative to rebuild our local public services. – Level the playing field between private contractors working for profit and locally-run services. – Support councils to deliver services themselves – by introducing the concept of local authorities being the ‘preferred provider’ of council services. – Insist on consultation with the public before any service is privatised or outsourced – because our communities should decide how their money is used. Empowering our councils to take a leadership role in shaping the communities they serve and rebuilding capacity into local government will hand power back to communities so they can make the best choices for their area. We already know the difference that Labour in local government can make, and the incredible work that many local councillors do in challenging circumstances across Greater Manchester. In May, we elected our new Metro Mayor, Andy Burnham, who understands that ‘a Northern Powerhouse’ is one built by local people, and by investing in our communities – and not through slogans. I want to work with Andy when in Government to deliver on his Labour manifesto for Manchester; a decent and affordable home for everyone to rent or to own, to make the city a world-leader in digital technology and home to the country’s first fully-integrated National Health & Care Service. Despite the challenges faced by our local authorities they have remained at the front line, protecting the services our communities rely on. As Shadow Secretary of State for Local Government I will be continuing to fight the government every day to ensure our communities are protected, as well as presenting a viable alternative because Labour is no longer just the Official Opposition, we are a government in waiting.